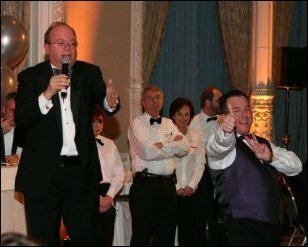 From January 27 to February 4, 2006 Charity auctioneer Tom DiNardo of DiNardo & Lord Auctioneers set three new charity wine auction records in just over one week. We are quite pleased with the 25% increase that Tom achieved for us. He set a new precedent and challenge for next year’s incoming chairperson. Charity auctioneer Tom DiNardo of DiNardo & Lord Auctioneers set three new charity wine auction records in just over one week. 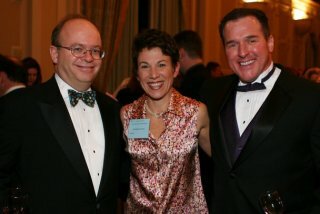 From January 27 to February 4, 2006 Tom DiNardo presided over three wine auctions which were conducted for non profit organizations located in both California and Utah. 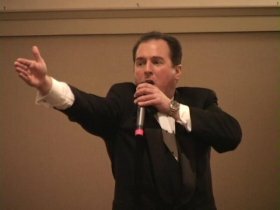 Tom DiNardo has specialized in charity auctions and wine auctions since 1993. Mr. DiNardo has presided over one thousand charity auctions for various non-profits, charities, and community organizations across the United States. Tom holds five world records for “price achieved at auction.” He is a freelance writer for Wine Adventure magazine, Wine Enthusiast magazine, AuctionZip.com, GlobalAuctionGuide.com and a regularly featured writer for WineSquire.com. For more information about Tom DiNardo and his charity auction company, please visit his web site at http://www.DiNardoandLordAuctioneers.com. For additional information about Mr. DiNardo you may also visit AuctionZip.com or GlobalAuctionGuide.com. Auctioneers celebrating success at ZAP!Celebrity Auctioneers Fritz Hatten (left) and Tom DiNardo (right). Guest Auctioneer Dawn Marie Kotsonis (middle). Wine Auctioneer Tom DiNardo.Charity Auctioneer Tom DiNardo sells to a bidding crowd.